Our family grew by one! If you’re still reading, hang on, this letter is going to be somewhat different. In fact, I haven’t really had the energy to write one until now. Do you want the good news or the bad news first? Okay, I’ll start with the bad news. I started this year with a brand new horizon. I was excited to be leading a group hoping to build a faith community following Jesus and loving and accepting people with grace apart from institutionalism. The future was so bright. But then, in May, it all came crashing down. I learned that I will die without a liver transplant. My condition has worsened since. I can’t work, I can’t contribute and I am totally dependent on others. I am weak. How life can change in just a year! We had to sell our house or face foreclosure. We’ve had times of friends bringing us food and times of getting food from food pantries. I used to be proud. Now I am just grateful. First, God has met ALL of our needs. People are so loving and generous. Second, our family has grown! 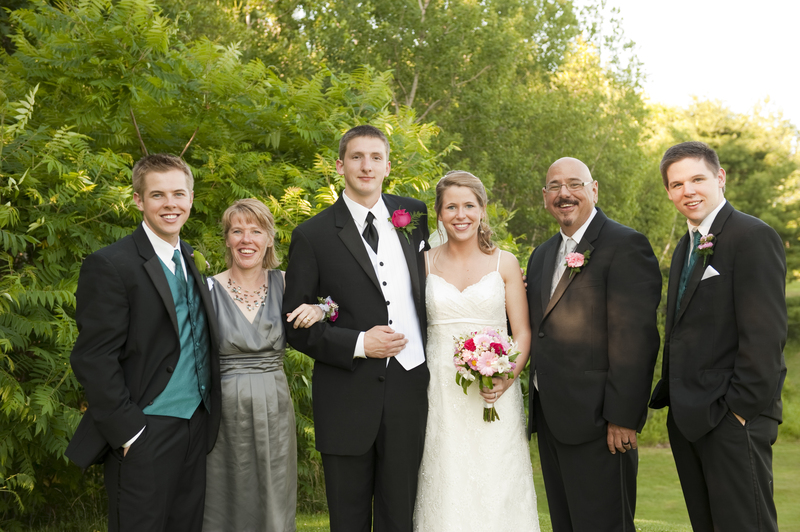 Our little Shara married an awesome guy who fits right in with our crazy bunch. I was so thankful to be alive and able to attend her beautiful wedding celebration. I even had the privilege of officiating and pronouncing she and Jake man and wife. What a great family celebration!!! Third, Chef Donald Jacob finished year one at the Culinary Institute of America. We saw a tremendous growth in his knowledge and skills. YUM!!! He also secured an internship working in Maine’s only 5 star restaurant, the White Barn Inn. It was grueling and just as abusive as those cooking shows on TV but he survived it. We are so proud of him. Fourth, Josh finished year one at Weill-Cornell Medical School in Manhattan. He got honors throughout and was top of his class. He even coached Little League! Amazing. Fifth, Robin’s job at Boyko is a blessing. Her boss blessed us with health insurance for 2012. It’s a very good policy. She has the flexibility to work at home and take me to my doctors appointments. She continues to amaze me by all she does. Now she’s even tutoring children in reading at The Root Cellar, an inner city ministry in Portland. Hug your family close. None of us can predict the future. Last year at Christmas I wasn’t even thinking of livers and how long I would live. This Christmas I am just happy to be here. Make 2012 the year you take care of your health -start losing that weight. Keep working to get off the smokes even if you try 8 times and fail, keep trying. Walk, even if you start with only being able to handle 10 minutes a day, move! Monitor your sugar and discipline yourself to eat healthy to keep your diabetes at bay. Trust me, your family wants you around for decades to come! We are so thankful for each and every one of you. Merry Christmas and happy New Year from Scott, Robin, Josh, Shara and hubby Jake and Donald Jacob.